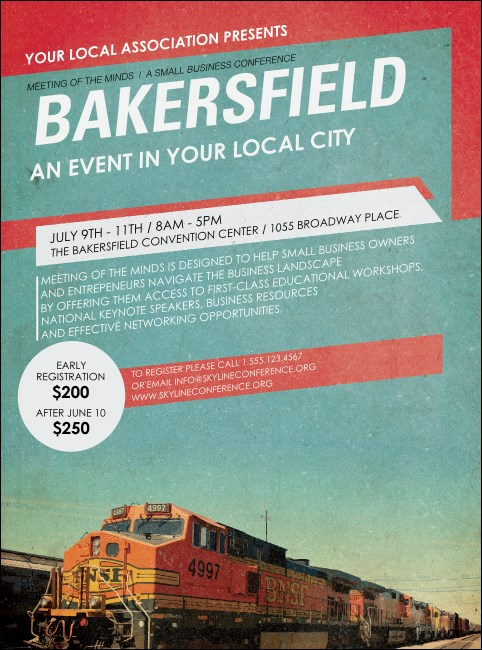 Keep your event on track by reaching out to your guests with the Bakersfield Flyer. Perfect for any local event, this flyer features the image of a red freight train against a blue sky. With plenty of space to add your custom text, you'll be able to share all the news of your event. TicketPrinting.com can help get your event sales up to speed.